I knew at a young age that I wanted to be a dentist in Rock Hill, South Carolina. I am fortunate to live and work in my hometown. I enjoy the many nice patients that we welcome each day to our office. My fellow dentist and I share the same philosophy of dental care. We make a great team. I am proud of my dad’s honesty and integrity. I plan to continue to treat people like he has treated them since 1984. I look forward to many years of providing quality dental care for my community. Contact Cranford Dental or call 803-324-7670 to discuss your family’s dental care. Cheney Robinson and I married in 2015. Cheney has a PhD in sports and college administration. He works at Upward Sports in leadership development. We both love living in Rock Hill. In January, 2017 we welcomed our daughter Liddy. She has brought much joy into our lives. We are thankful every day for this special gift to us! We look forward to many great years in this community and with this dental practice. I attended Westminster Catawba Christian School, Northwestern High School, and Vanderbilt University. I graduated from the Medical University of South Carolina dental school in 2011. After dental school I entered the Advanced Education in General Dentistry Residency Program at the University of Florida. There I trained in complex dental cases and full mouth restorations. While living in St. Petersburg, I spent plenty of time at the beach, but I also honed my skills in extractions, dental implants, cosmetic dentistry, and dental sedation. This practice values training and ethical dentistry. I am committed to that for the future. Our staff and patients are the best. I am fortunate to work in this office—with this team—in this community. The best thing about working at Cranford Dental is the warm, friendly atmosphere. Our long time staff and patients are the best. We take your dental health very seriously, but we also like to have a little fun. Our patients count on us for fair and honest dental care. I plan to continue earn the trust of families who trust us to do the right thing for their teeth. This involves constant training and commitment to excellence. 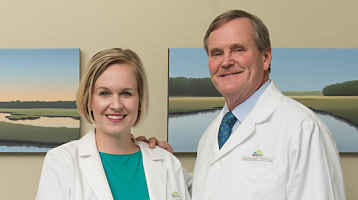 At Cranford Dental we look forward to many more years of service in our Rock Hill dental office. Please visit our office if you are looking for a long term relationship with a local dentist. Make an appointment with Cranford Dental or call us at 803-324-7670. We would love to welcome you.